Competition can be on a small scale, or it can be on a large, grander scale. Whichever of the two, it is all about doing as well, or even better than the person or company you are competing against. All of us who wish to be successful must have a competitive streak within us to enable us to be better than ordinary, and a great competitive urge for us to be better than anybody else. Without competition we could fall into a complacent mood that leads us to the acceptance of being second rate in whatever we do or say. Let us use Air Malta as an example of competition. In 1973 we were all waiting in anticipation for Air Malta to start operations. It was collaborating with Pakistan International Airlines with two leased aircraft and using Pakistani pilots. March 1983 saw the arrival of three brand new aircraft, so Air Malta was now using its own aircraft. We had our own fleet! Then came the news that Malta was training our own young men to be airline pilots. This was treated with a fair bit of scepticism because we Maltese at the time were like that. We underestimated the skills and abilities of our own people. Well, after a few years they qualified, and became first-class airline pilots. But, more about that later. The low-budget airline Ryanair started flying to Malta in 2006. 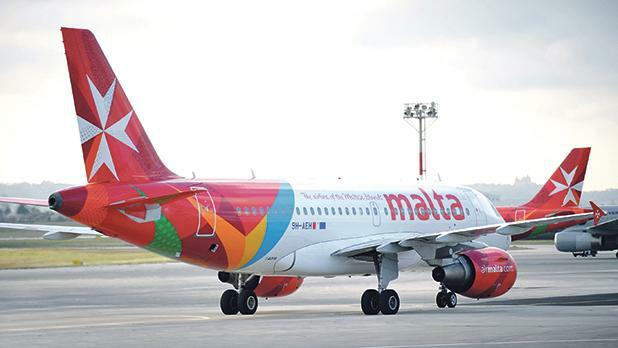 There was a lot of discussion before an agreement was reached, because the Maltese government felt that too much competition could affect Air Malta. It would be competition, big competition. At the time I, and many others, wrote in this newspaper saying that it would be very sensible to allow Ryanair to operate to Malta and that it would be very beneficial to Malta and the Maltese economy. Because of sensible pressure from many quarters, Ryanair was allowed to operate, and the result has been very advantageous to Malta’s tourism and the Maltese economy. What I did not envisage was the fact that after the government allowed the competition to operate to Malta, Air Malta did very little to effectively compete and market itself under the new conditions, with the result that it suffered and suffered badly. Now, with even more competition from other airlines, Air Malta has finally got its act together and is showing that it can compete with the best. We allowed low-cost airlines to operate to and from Malta, thus giving us a huge increase in tourists and other passengers coming to Malta. And the ease which they can do that, and the huge selection of places they can come from and go to, was seen to be vital and proved to be just that. Malta organised, and at a very early stage in our development with excellent foresight, the upgrading of our international communications. Our internet connections were seen to be essential for our future, and so it has proved to be. Any service business, anywhere in the world, can be operated from Malta with today’s technology. For example a sales agency selling advertising space in a newspaper in England can do that easily from Malta through telephone and internet, and so they have a choice to work from lovely warm Malta, and a lot of them do. Look around and see the foreign companies flourishing and working in Malta because of our communication systems. And these are going to be upgraded and made even better in the not too distant future. Any foreigner living and working in Malta and being paid money emanating from abroad is a huge asset to our country as that foreigner, who resides in Malta, spends the majority of his earnings in Malta on rent, food and entertainment. Say he or she is paid €30,000 a year, just to mention a round figure. And say, the company employs 100 people, again just to mention a found figure. This brings into Malta €3,000,000 per annum just from one company. There are thousands of foreigners living and working in Malta, being paid from abroad. The mind boggles when one imagines the huge amount of money entering our country. No wonder our country has a positive balance of payments. I have always tried, whenever I can, to travel on Air Malta when I go abroad. I do this because I want to help the airline be successful and also because I feel that Air Malta is a very good airline, and an airline we should be very proud of for such a small country. Myself and other passengers are given very good service, and here I must say that, in my opinion, and in the opinion of many others, Air Malta has excellent Maltese pilots. The other day, on Tuesday evening, I was returning from Heathrow on the 8.30pm flight. A very smart female Maltese pilot was bringing us home. After a small delay, not the fault of Air Malta, we made up for the time lost. But the most memorable thing on that flight was the landing at Malta. The plane landed so smoothly you could hardly feel the fact that we had landed. I was very impressed. I am a great believer in the ability of Maltese to become the best at whatever they do. They compare with the best in the world in many things. One of which, in my opinion, is flying international passenger aeroplanes. Competition, competition, competition, what would we do without it? It is a vital part in everyday personal and business life. Competition must be there for you to succeed and to keep a very high standard. In my business I used to tell my staff that if you don’t have a competitor, then invent one. Today of course we have many competitors to keep us on our toes. As Malta becomes more successful, there will be many more people and countries trying to compete with us. What we must do is recognise this from the start, and compete in the very best way possible.